Below you fill find all funeral homes and cemeteries in or near Annville. Suburbs of Annville: Bellegrove, East Hanover, Ft Indiantown, Harper Tavern, Steelstown, Syner, West Annville. Annville is also known as: Lebanon County / Annville CDP. Zip codes in the city: 17003. Some of the notable people born here have been: Brian Aungst (politician), and Steve Blackman (wrestler). Annville Township is a township and census-designated place in Lebanon County, Pennsylvania, United States. The population was 4,518 at the 2000 census. It was disclosed on May 26th, 2018 that Linda Potter-Scudillo perished in Annville, Pennsylvania. Potter-Scudillo was 69 years old. Send flowers to express your sorrow and honor Linda's life. It was disclosed on January 11th, 2015 that Irv Zimmerman died in Vista, California. Zimmerman was 80 years old and was born in Annville, PA. Send flowers to express your sorrow and honor Irv's life. It was written by Williamsport Sun-Gazette on July 7th, 2014 that Ila G Force (Hacker) passed away in Annville, Pennsylvania. Ms. Force was 87 years old. Send flowers to share your condolences and honor Ila G's life. It was disclosed by The Sentinel on August 12th, 2013 that Martin L Shenk died in Annville, Pennsylvania. Shenk was 95 years old. Send flowers to share your condolences and honor Martin L's life. It was reported on April 19th, 2013 that Joyce "Joy" Campanella (Wadsworth) passed on in Annville, Pennsylvania. Ms. Campanella was 84 years old and was born in Springfield, NJ. Send flowers to express your sorrow and honor Joyce "Joy"'s life. It was noted by Lancaster Intelligencer Journal on December 19th, 2012 that John D Miller passed away in Annville, Pennsylvania. Miller was 73 years old. Send flowers to share your condolences and honor John D's life. It was disclosed by The Macon Telegraph on October 9th, 2012 that Joyce A Boltz (Maulfair) perished in Brunswick, Georgia. Ms. Boltz was 88 years old and was born in Annville, PA. Send flowers to express your sympathy and honor Joyce A's life. It was disclosed by Harrisburg Patriot News on July 12th, 2012 that Adelene B "Addie" Boyer passed on in Annville, Pennsylvania. Boyer was 85 years old. Send flowers to express your sorrow and honor Adelene B "Addie"'s life. It was noted by Harrisburg Patriot News on July 12th, 2012 that Lorraine T Stephens (McHugh) passed on in Annville, Pennsylvania. Ms. Stephens was 99 years old. Send flowers to share your condolences and honor Lorraine T's life. It was revealed by Harrisburg Patriot News on June 6th, 2012 that Carol J Kearney (Walker) passed on in Annville, Pennsylvania. Ms. Kearney was 74 years old and was born in Rice Lake, WI. Send flowers to express your sympathy and honor Carol J's life. The population was 4,518 at the 2000 census. 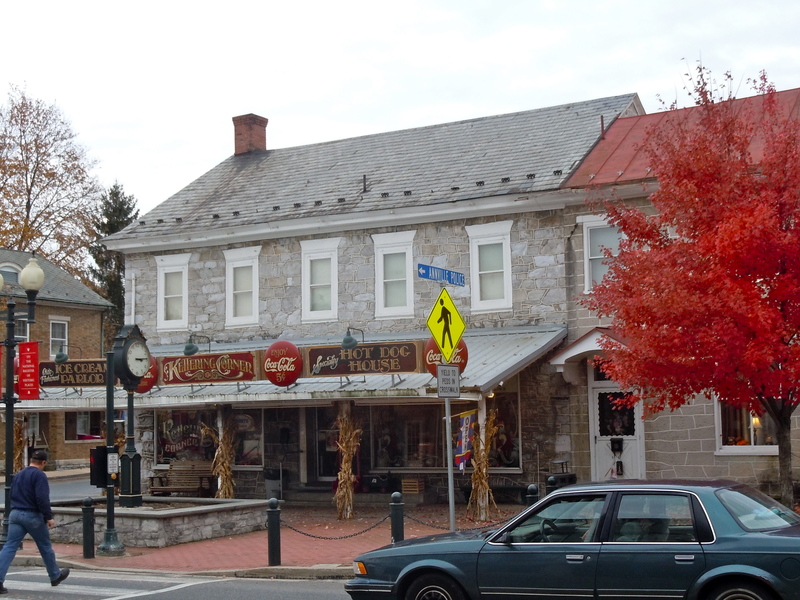 Annville Township is a township (Pennsylvania) and census-designated place in Lebanon County, Pennsylvania County, Pennsylvania, United States. . . . The official website for the city of Annville is http://www.annvilletwp.com/. LOWVILLE Charlene Widrick, 57, of 640 E. Main St. passed away at her residence in Annville, Pa. on October 21, 2010. Funeral services were held on Wednesday, October 27, at 11 a.m. at the Kreamer Funeral Home and Crematory, 618 E. Main St., Annville. Kreamer Funeral Home & Crematory, Inc. provides complete funeral services to the local community. Listing all funeral homes in Annville, Pennsylvania so you can easily send flowers to any location (same day delivery) or find any funeral service. Funerals in Annville, PA on Yahoo! Local Get Ratings & Reviews on Funerals with Photos, Maps, Driving Directions and more. Find crematories & Crematories in Annville, PA. Read business reviews, find driving directions, and more. crematories on YP.COM. We work with local florists and flower shops to offer same day delivery. You will find budget sympathy flowers in Annville here. Our funeral flowers are cheap in price but not in value.